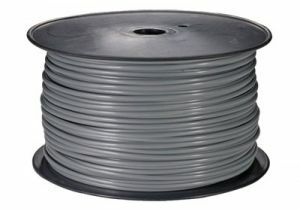 ShowMeCables offers a wide variety of flat line telephone cord options. Available in four different colors to match different telephones. With both cut by-the-foot cabling and full spools available, our telephone cable is ready to ship today. Not sure which telephone cable you need? Call or chat today and we will recommend the right solution for you.